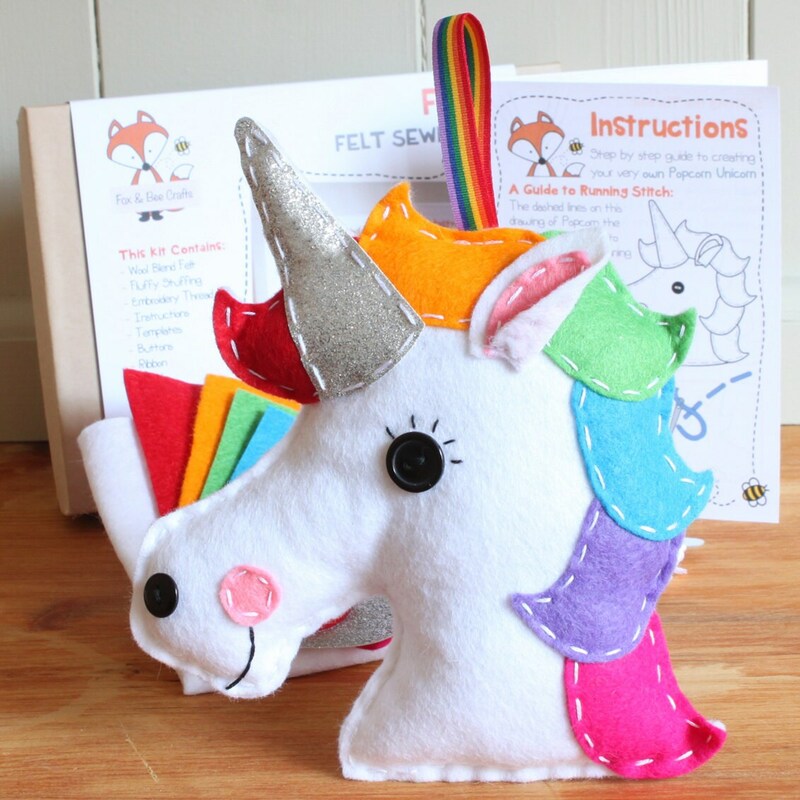 Fox & Bee’s Popcorn the Unicorn felt sewing kit is perfect for kids and adults of all ages and abilities – whether it’s your first time sewing or you’re an old hand, you’ll love making this felt unicorn decoration. 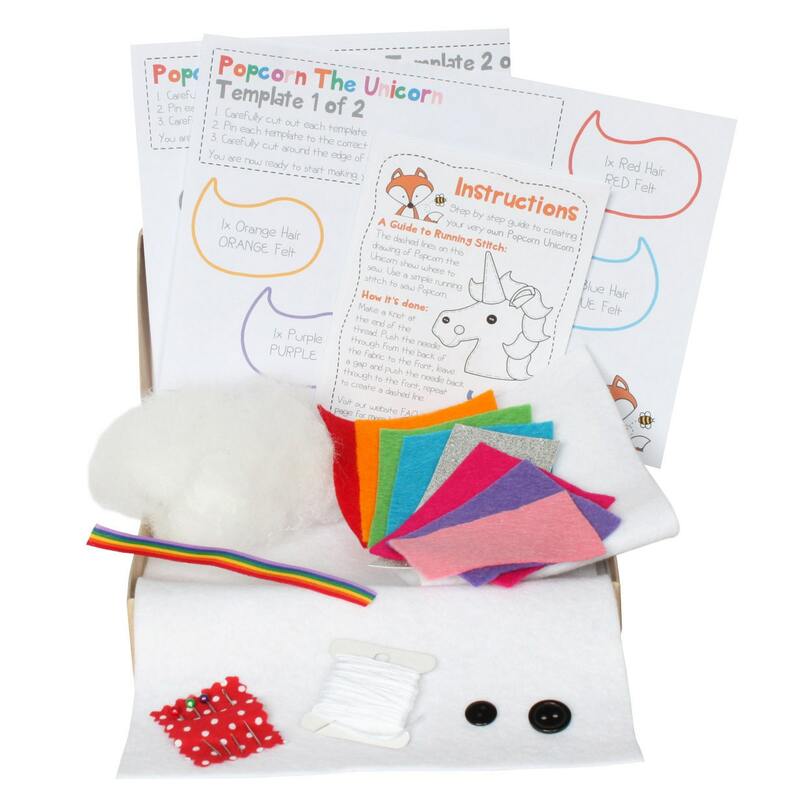 Only the front label will be personalised (see images for examples). Please note, the name you provide will be printed EXACTLY as you write it, so please ensure the correct spelling as we cannot be held responsible for any mistakes. We will not print anything deemed offensive.